This property located in great spot to go all sorts of places in Blue Mountains. Bird seed provided by host great for seeing cockatoos and rosellas. Got to feed king parrot too! Hosts very friendly and helpful for tips around the area. 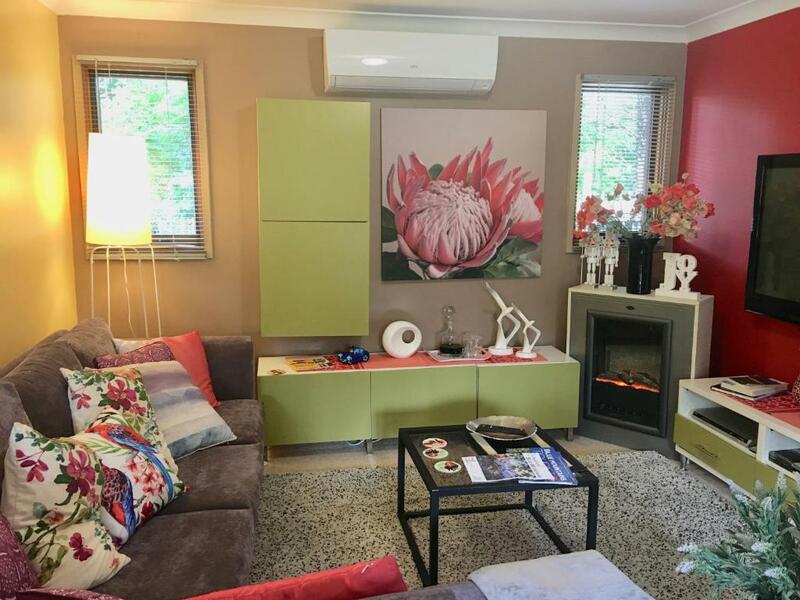 Very clean, very comfortable and felt like home.. located close to Katoomba CBD..
We would arrive before check in time and they were happy with it and were there waiting for us. The host was very welcoming and provided heaps of useful tips to local venues and sightseeing. The house and garden are cosy & beautiful. The weather was chilly but well prepared for warming up. The host, David was so kind and gave a tip about nearby. It was a home away from home with wonderful hosts who provided lots of essentials and lots of little extras to make you're stay enjoyable. Maralayn knows all the best lookouts and places to visit. David was helpful about road conditions. The bed was comfy and the kitchen had everything you might want. It was so quiet and the local birds come in to say hello. Not far to the main street for morning coffee. The villa was comfortably furnished and had everything we needed for our stay and the owner was friendly and very informative about the local area. 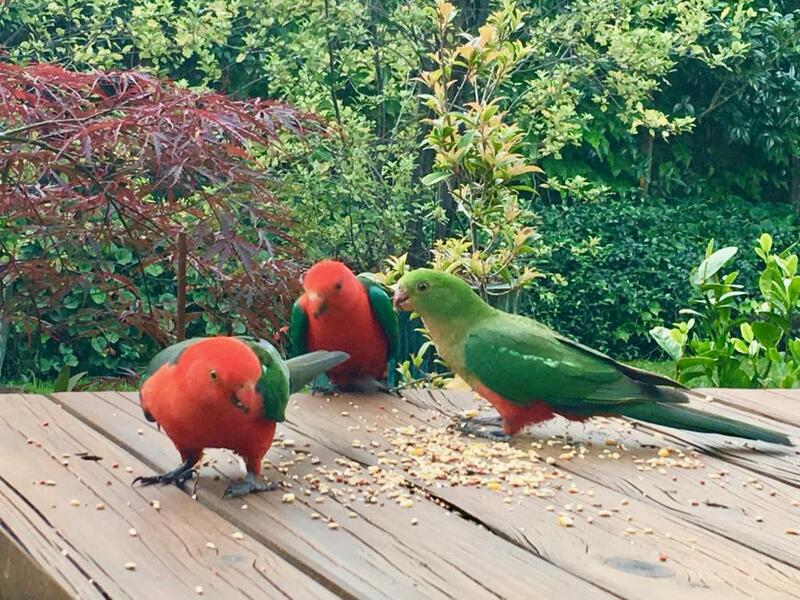 Nice House, wonderful garden with rosellas and cockatoos, very good location. A good, suitable House for 5person family. Very friendly and helpful host. Good movie library for The Kids. The hosts were very helpful and accommodating. Kids loved the games and having their own room. Very comfortable and great location. Crimson villa was perfect for our weekend get away. Secluded, private and leafy. Our host was very friendly and informative. A car is a must as the accommodation is situated away from the hustle and bustle of Katoomba. As we like peace and quiet that was a positive addition to our stay. Lock in a great price for Crimson Villa – rated 9.4 by recent guests! Crimson Villa This rating is a reflection of how the property compares to the industry standard when it comes to price, facilities and services available. It's based on a self-evaluation by the property. Use this rating to help choose your stay! Just 5 minutes’ drive from the famous Three Sisters, Crimson Villa offers a private balcony with mountain and garden views. Surrounded by lovely gardens, it features barbecue facilities and unlimited free WiFi per day. 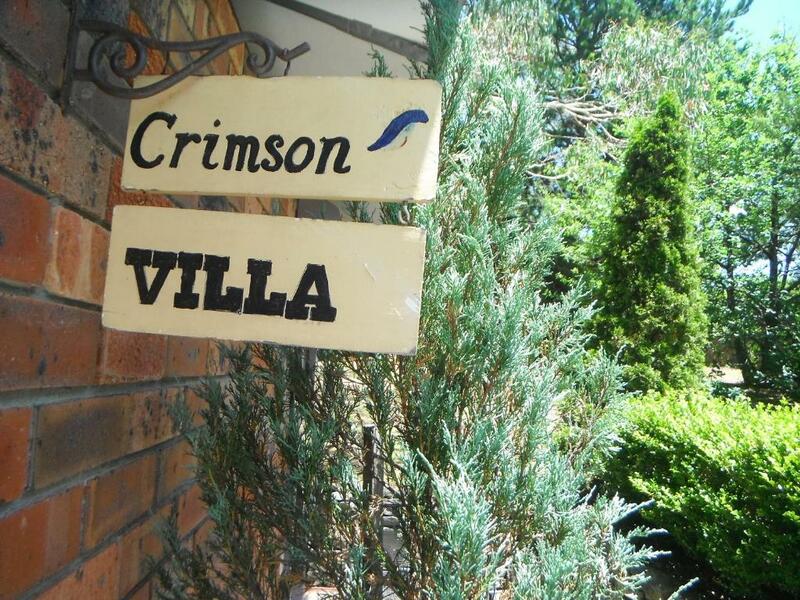 Crimson Villa Katoomba is 5 minutes’ drive from Katoomba Train Station, Katoomba Golf Course and the Scenic Railway. Sydney is a 1.5-hour drive away. The air-conditioned villa features laundry facilities and a fully equipped kitchen with an oven and a microwave. 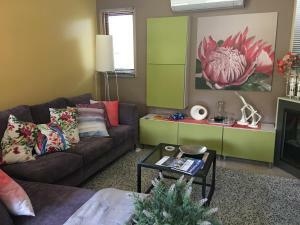 It has a spacious living room with a flat-screen TV, a DVD player and video games. 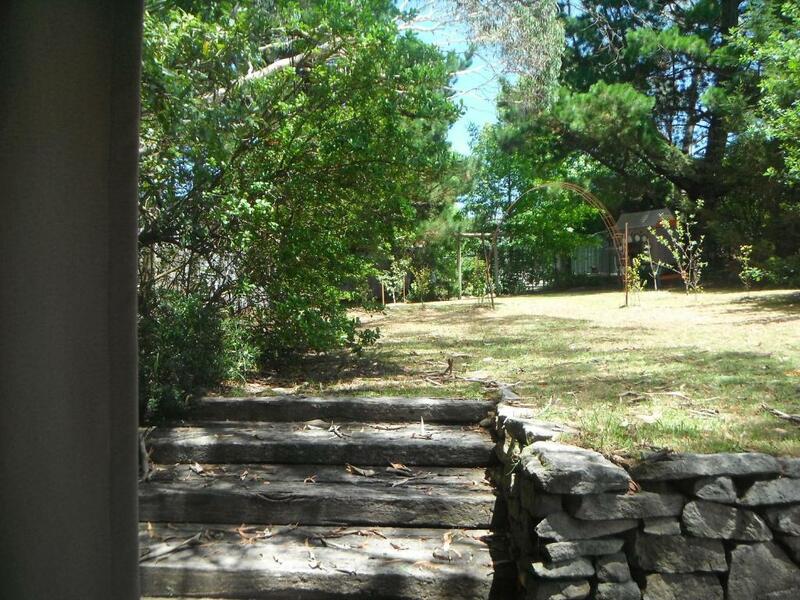 This property is also rated for the best value in Katoomba! Guests are getting more for their money when compared to other properties in this city. When would you like to stay at Crimson Villa? This air-conditioned vacation home features a private balcony with BBQ facilities and mountain and garden views. It also includes full kitchen and laundry facilities, and a living room with a flat-screen TV and a DVD player. 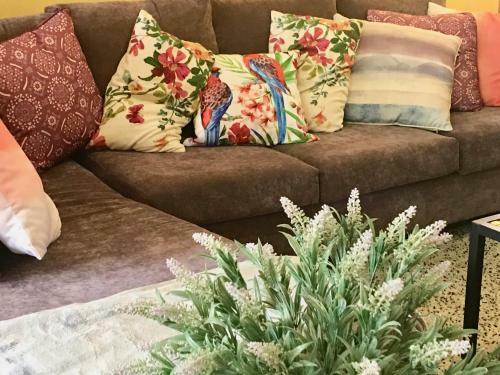 Crimson villa is designed to be an enjoyable and comfortable holiday destination, colourful and nicely decorated as well as being relaxing - decorations can be easily adjusted to accommodate children so parents can relax too! Great outside, a huge garden space so after a long trip the kids can run off some steam and adults can sit and enjoy a drink and BBQ overlooking a private garden where our local birds come to feed and chortle in the trees. David and I have lived in the Blue Mountains for sixteen years (not quite locals yet!) and have 3 young men children that come and go attending university in Sydney and Canberra. We have worked in the local tourism industry since arriving in the mountains, notably Maralyn oversaw the local visitors centres for five years so we are able to assist our guests with local information better than most! We are perfectly situated, nowhere is far in Katoomba, it is a compact small village, although the largest town in the upper mountains. Crimson villa is only 5 minutes drive to town, Scenic World and the 3 Sisters whilst being out of the busy touristy traffic areas; so peaceful at night you feel as though you are miles away from anywhere and the stars shine brightly. We have 3 major supermarkets, 2 open until midnight so there is no rush to get supplies after arriving in the area and a quick 5 minute drive away. House Rules Crimson Villa takes special requests – add in the next step! Crimson Villa accepts these cards and reserves the right to temporarily hold an amount prior to arrival. Please let Crimson Villa know your expected arrival time in advance. You can use the Special Requests box when booking, or contact the property using the contact details found on the booking confirmation. Please note the price is based on 2 people sharing 1 bedroom. There is an extra AUD 50 charge per stay for use of additional bedrooms. Please note that there is only 1 parking space available. Please inform Crimson Villa of your expected arrival time in advance. You can use the Special Requests box when booking, or contact the property directly using the contact details in your confirmation. The house is for two bedrooms but they charged me extra $60 for 2 kids for 2 nights when we arrived. Everything was perfect but I would warn anyone with mobility problems that it is a stone path to the villa which could be an issue for some people. It also means that you have to carry your bags along the path and up a couple of steps. You can't roll them. Having said that I'm sure either Maralyn or David would help you if they knew in advance. Comfortable little house with everything our family needed. 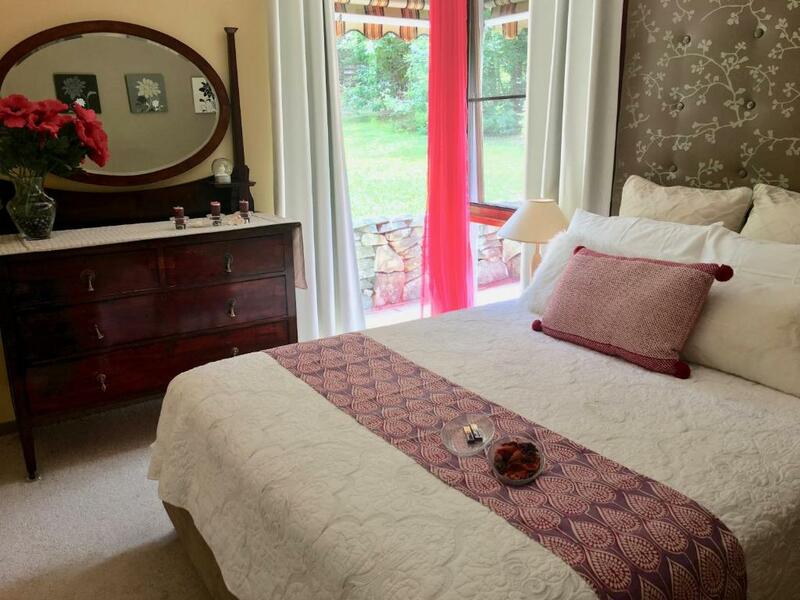 Comfortable beds (with electric blankets), extra comfy couch and lovely gardens. We even were given birdseed to feed birds outside. Our kids loved this. 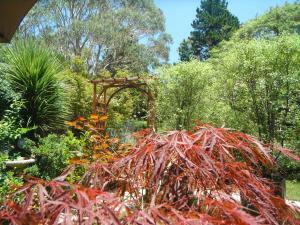 The owner was extremely friendly and knowledgeable about what to do in Katoomba and the surrounding areas. The house plus the garden was lovely.